I’ve been working today on the design for Felix, trying to tidy up the space for the electronics. 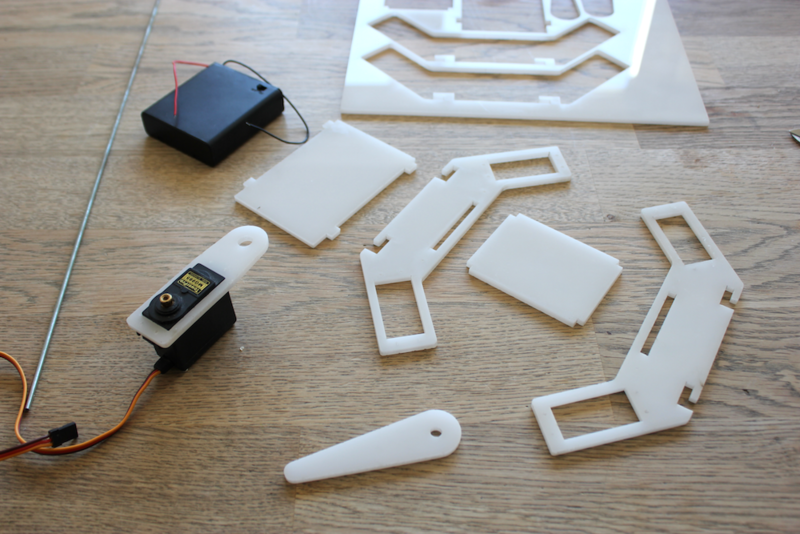 The new body template is designed to fit an Arduino Uno board and an Adafruit 16×12 servo shield. I’m trying to get up to speed with Autodesk Fusion 360. It’s great software, but to do this sort of stuff I keep coming back to OpenSCAD. I still need to add a license file to the repo, but it’s a regular MIT license. And speaking of CAD, I recently wrote a post for Makezine: http://makezine.com/2015/04/20/understand-1700-mechanical-linkages-helpful-animations/. It’s a short highlight of Mr. Đức thắng Nguyễn’s YouTube Channel. The channel is an amazing collection of complex animated mechanism he has documented with Autodesk Inventor over the last 10 years. This entry was posted in Felix, Robotics and tagged Felix, OpenSCAD, Robot on April 22, 2015 by ronaldx. I will add the template files for the design to the repository as well. This entry was posted in Felix, Jonny Five, Robotics and tagged Arduino, Felix, Robot, video on April 20, 2015 by ronaldx. Yesterday I spend sometime at my local #fablab #fablabnordvest learning to know their Chinese Laser cutter. I used 4mm. white acrylic. The design was made with #iDraw and exported to SVG (You can download the SVG here Body.svg). But my Chinese friend only speaks DXF or AI. After importing the converted AI file, I realised that I needed to do some cleanup of the path. Some of the patterns appeared twice(?). Anyhow, it’s always mesmerising to watch a machine do it’s work. After playing with the assembly, I want to redesign the way the lid is attached and I will like to make a smaller version for 9g servos. Probably the easiest way to do this is to use OpenSCAD to create a parametric model with the size of the servos as a dynamic variable, and then create a projection which I can export to DXF. 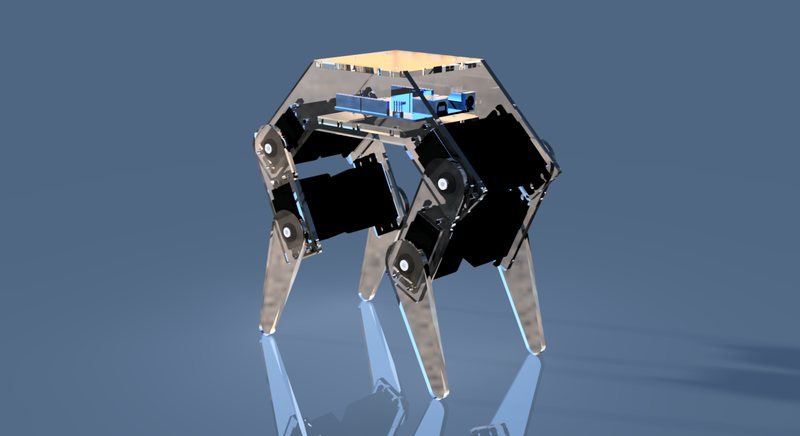 This entry was posted in Felix, Robotics and tagged Felix, iDraw, OpenSCAD, Robot on April 17, 2015 by ronaldx. Today i worked on a couple of things to improve Felix’s walk cycle. I tweaked the servos offsets to get a more precise placement of the feet. I fixed Felix to the new stand and used a square ruler to get the alignment as god as possible. 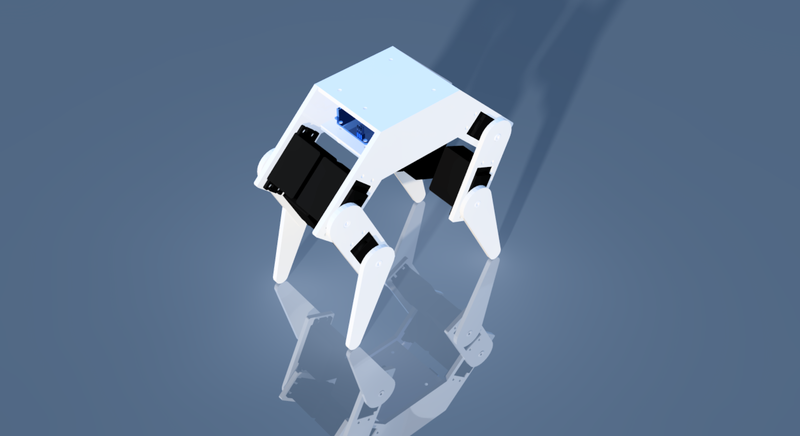 Then base on the suggestion by one of the god people at http://letsmakerobots.com, Felix is now leaning to the opposite side of the leg being lifted for every step he takes. Last but not least he got some socks to get better traction. This entry was posted in Uncategorized on April 1, 2015 by ronaldx.